Farmworkers who are prone to heat-related illnesses (HRIs) and African American women at high risk of preterm births will ultimately benefit from two major grants awarded to Emory nursing researchers. In the case of the former, emergency rooms are seeing more and more extreme cases of HRIs among agricultural workers. Unfortunately, many seek help too late: the average annual heat-related death rate among farmworkers is nearly 20 times higher than for other occupations. The School of Nursing has stepped up efforts to document the physiological changes that lead to heat stress among farmworkers in Central Florida. Led by Dean Linda McCauley, Emory researchers and community partners from the Farmworkers Association of Florida are conducting the largest, most in-depth study ever undertaken to look at heat stress in farmworkers. This four-year study is supported by a $2.1 million grant from the National Institute of Occupational Safety and Health. Researchers are using advanced biomonitoring equipment in the field—portable devices that capture body temperature, heart rate, energy expenditure, and signs of dehydration in some 400 workers laboring in nurseries, ferneries, and fields in Central Florida. The study will determine how to offer better guidance to farmworkers so they can protect themselves from heat hazards. During peak seasons, many toil 12 hours a day, seven days a week, often in high humidity and temperatures in the 90s and 100s. The goal behind the research is to provide workers with better information about how to protect themselves from extreme heat, including how much water to drink, how often to rest, and what kind of personal factors put them at highest risk for HRIs. 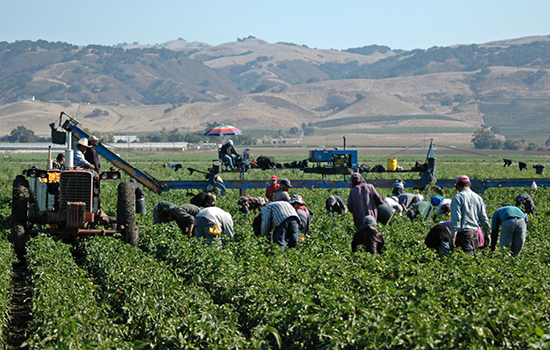 Innumerable research studies have characterized the hazardous work environment for this vulnerable population, but this is the first study to do intensive physiological monitoring of farmworkers on the job, according to McCauley. "The study is very relevant now, especially with climate change," adds Valerie Mac 07N FNP 19PhD, who developed the grant pilot as part of her doctoral dissertation. "We need to anticipate how to handle HRIs before we’re so far down the road that we don’t know how to take care of these workers who are so crucial to the food supply system in this country." "People need to understand more about heat stress," adds McCauley. "Whether it’s young children or pets in cars, the elderly in urban settings, or farmworkers in agriculture, there are groups of people who will suffer the consequences of rising temperatures more than others, and this study is an important one in that regard. It’s all about prevention." The School of Nursing also received a five-year, $1.9 million award from the National Institute of Minority and Health Disparities to investigate risks and protective factors that contribute to high rates of preterm births in African-American women. Preterm birth is the leading cause of African American infant mortality, and African American women are more than 1.5 times more likely to have a preterm birth than Caucasian women. The research team, led by Anne Dunlop MD MPH, research associate professor in the School of Nursing, and Alicia Smith PhD, assistant professor of psychiatry and behavioral sciences in Emory’s School of Medicine, will determine whether biobehavioral factors (biological, social, behavioral, and environmental elements) influence the expression of genes that contribute to preterm births among African American women. "If we can define these risk factors for African American women, we can begin to identify important intervention strategies," says Dunlop. 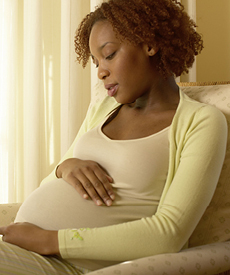 In this study, researchers will leverage data from an ongoing NIH-funded prospective cohort study of pregnant African American women from diverse sociodemographic backgrounds. They will assess women’s prenatal stress, dietary intake, and health behaviors; microbiome composition; and birth outcomes. Their goal: to identify modifiable factors that influence the epigenetic regulation of genes involved in preterm birth. Epigenetics is the investigation of the outside components, or biobehavioral factors, influencing the carefully orchestrated chemical reactions that activate and deactivate parts of the genome. Unlike DNA, the epigenome reacts to biobehavioral factors and affects the expression of specific genes in response. "Our study," notes Dunlop, "is a vital step in promoting the understanding of the biological mechanisms involved in conditions that disproportionately affect minority populations."